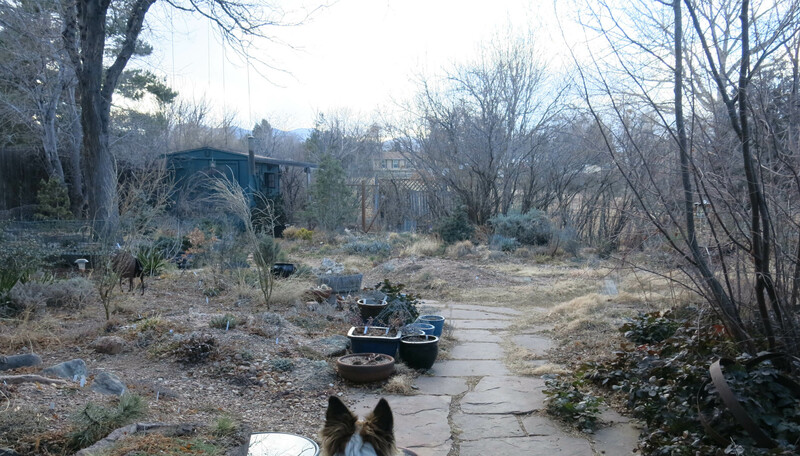 Greetings and salutations, everyone; yes, once again it is I, Mani the purebred border collie, filling in for the guy I live with, and here today to bring you completely up to date on the latest news from our garden. You may remember me from such newsworthy posts as “The New Berm”, among so many, many others. Here I am in a characteristic pose. Not hugely in focus, of course. I’d just had a nice drink of water and was waiting to get a couple of Fruitables. They’re really good. So is our water. We get Denver Water Board water, which is not only inexpensive, it tastes great. The guy I live with said that it’s easy to get icky-tasting water in cities around the country, but that Denver Water water is some of the best. There are things finally going on, here, which is a relief to me since I don’t have to hear about the endlessness of winter or how cold someone is all the time. The change to Daylight Savings Time was pretty weird, but I managed it all right. It did look a little chilly this evening, but it wasn’t. There are crocuses in flower. More or less everywhere. The white ones here are called ‘Snow Bunting’. You can get this variety anywhere, and it’s still one of the best. That’s the tail of a French scare cat on the right, if you were wondering. Still snowdrops, too. This is part of the main group. With scare cats. (Only one in the picture.) The snowdrops in the frame are done now. 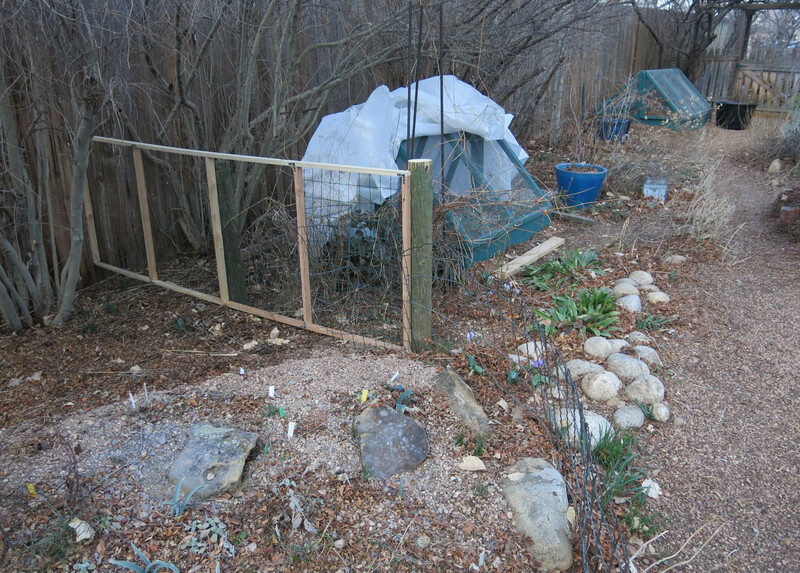 A little fence was built right next to the frame, to replace a kind of ugly wire fence. There’s a big clematis just on the other side which will cover most of the fence. The fence does look kind of tacky right now but the guy I live with said to wait for a while, and see. 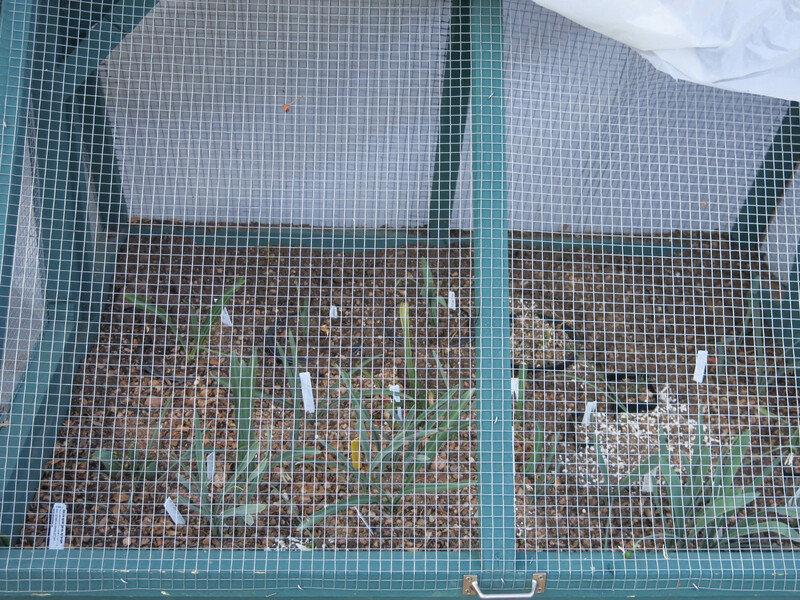 Some bulbs are up “way to soon”, though the forecast doesn’t call for much freezing at night, now. This is Fritillaria raddeana. We have a large collection of “frits” here. Some of the coldest weather can come in April, and so we have to be prepared to cover these things at night. By “we” I don’t actually mean me, of course. Though I could guard the frits, if necessary. The mosses in the troughs have turned green. 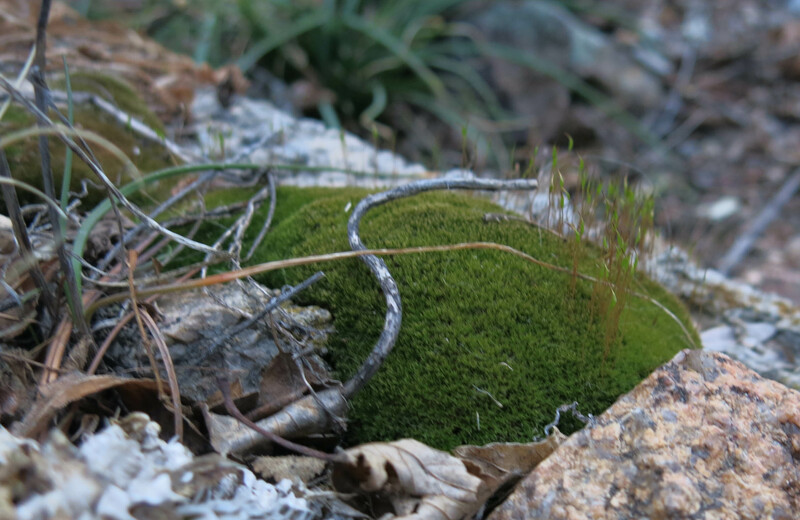 The moss pictures aren’t as in focus as they might have been. The guy I live with cultivates moss in two of the troughs, and it does quite well here. 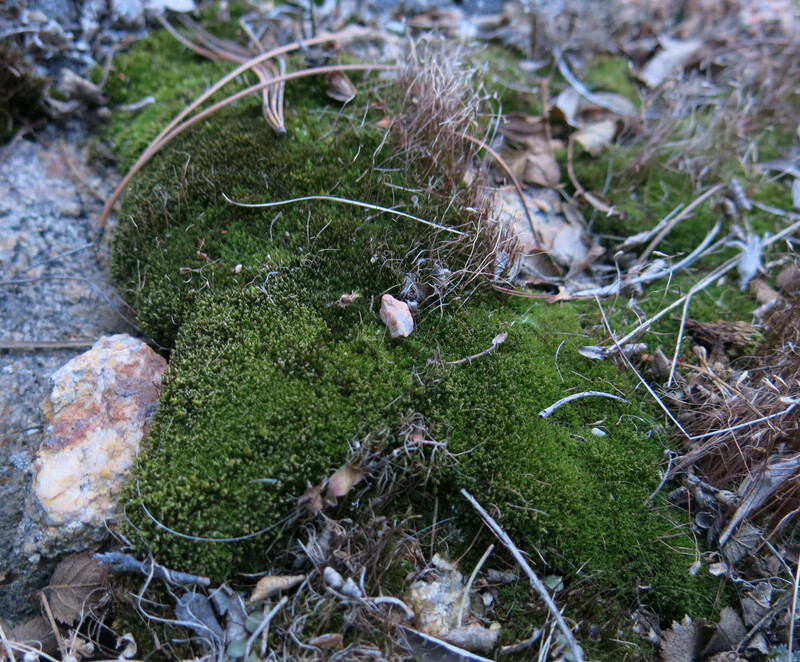 It’s a native moss of some kind; can go completely dry in the summertime. This is left over from when the guy I live with was super seriously into rock gardening, and there were all these cool plants in the troughs, but then things changed and a lot of plants died. Except for the mosses. 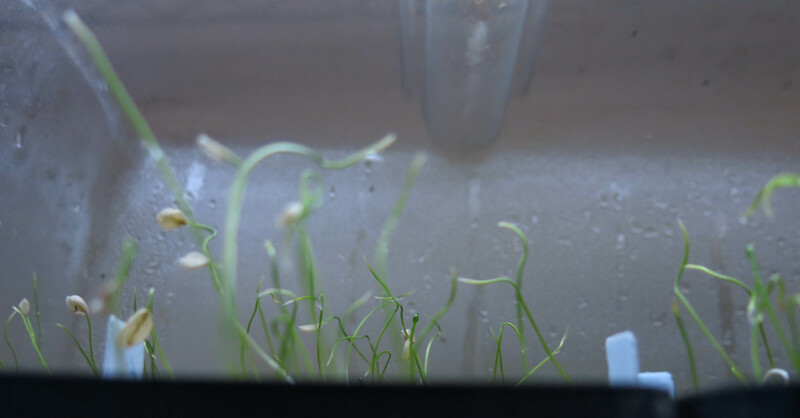 And if you remember the last post where some calochortus seeds had germinated, this is what they look like now. So that’s the gardening, here. My walks have been about the same, which of course means excellent. 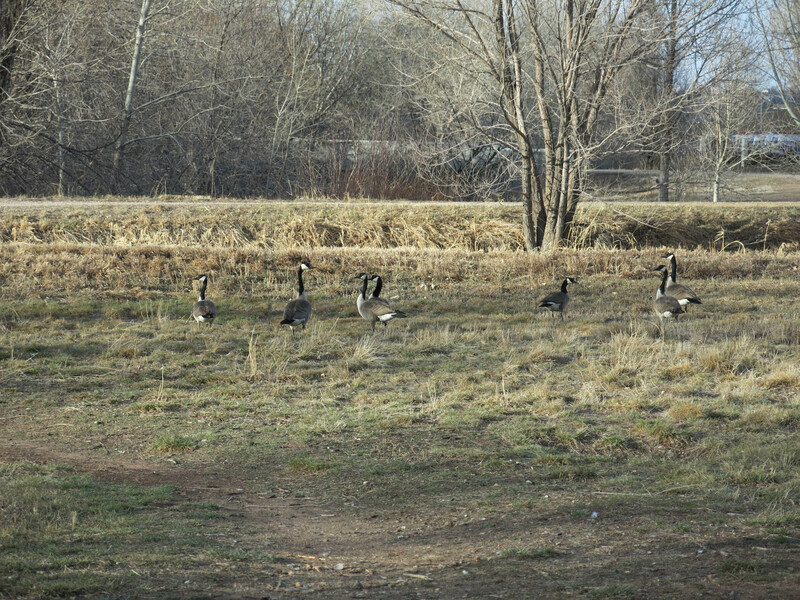 The geese are still here. 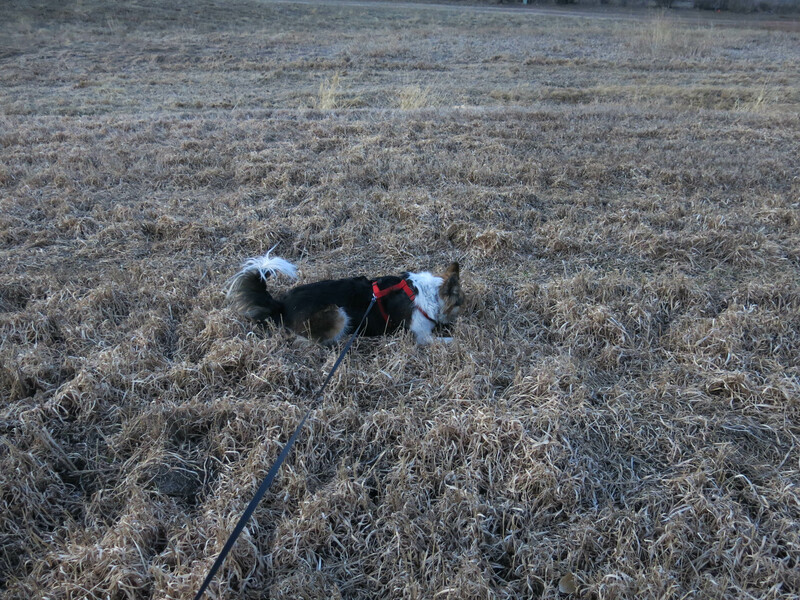 I got to hunt for some voles, today, too. The guy I live with said it’s possible I could be imagining things, all these voles rustling around under the grass. But I looked anyway. The guy I live with said not to stick my nose in there but I did, because I wanted to. 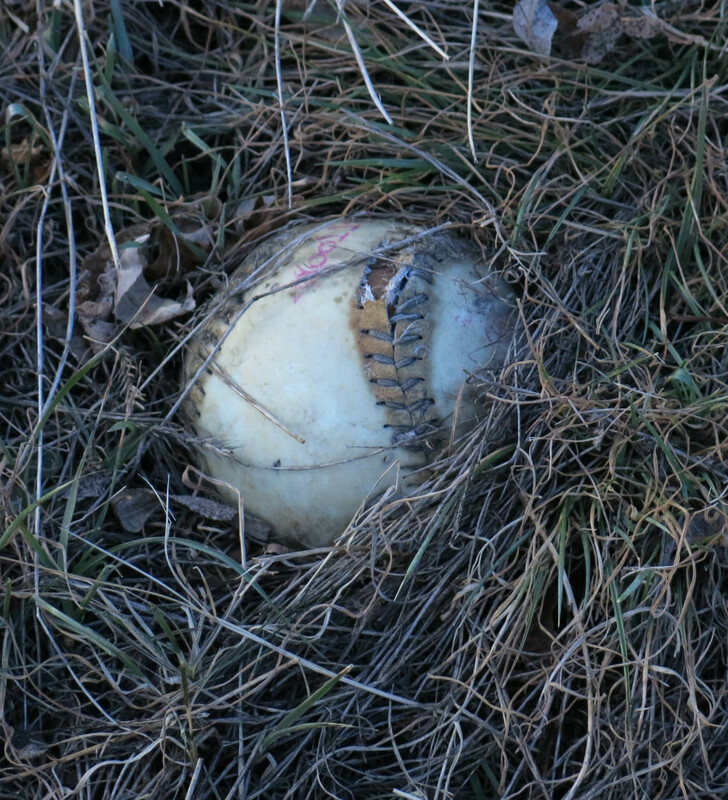 The only thing we found was what I was sure was a giant egg of some terrifying prehistoric creature. The guy I live with said it wasn’t. I’m fairly certain that’s all for today. If that egg hatches and it’s something scary, I’m not going to like it. But meanwhile things are okay. I thought you might like a short movie of me getting a biscuit; I do have a speaking role here. And notice how I stare at the cabinet where the biscuits are kept, to make sure I get one. Oh, Mani that egg might hatch into a burly fellow who spits tobacco juice. Better keep watch. After you’re done rooting around in those holes are your nostrils full of dirt? Great video! You are a good communicator, but even though you make your wants quite plain, sometimes the human is a little slow, right? Nice snowdrops. How long did it take that patch to multiply into so many? No; what you do is, when you stick your nose in one of those holes, is to blow out through your nostrils a lot. Probably easier for me. 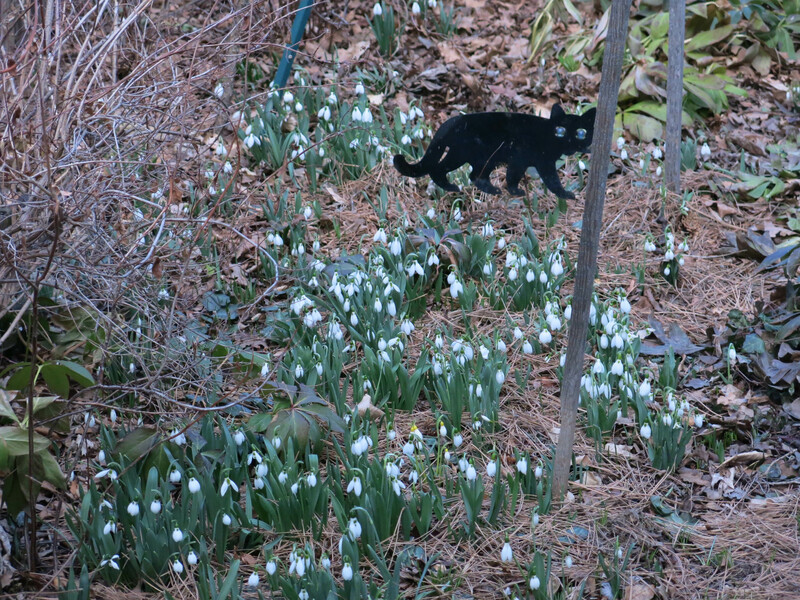 It took about twenty years, a little less maybe, to wind up with that many snowdrops. The guy I live with was being super careful about the biscuits while filming; the biscuits are in an old stoneware cookie jar. It was a wedding present or present early on when the guy I live with was married. If he broke it we’d both be unhappy. The guy I live with says it’s nice that I’m “vocal”, which I am, a lot, but that I talk too much when he’s on the phone. Kind of like a peanut gallery. Is a Denver Water Board like a Santa Cruz Surf Board; or is it more like an illegal interrogation technique? Do you think that egg might hatch into an ephalant? That would be cool! The Denver Water Board is who provides our water. The water comes from the mountains and goes through long tunnels to get here. I don’t know what will happen to the egg. The guy I live with said nothing. 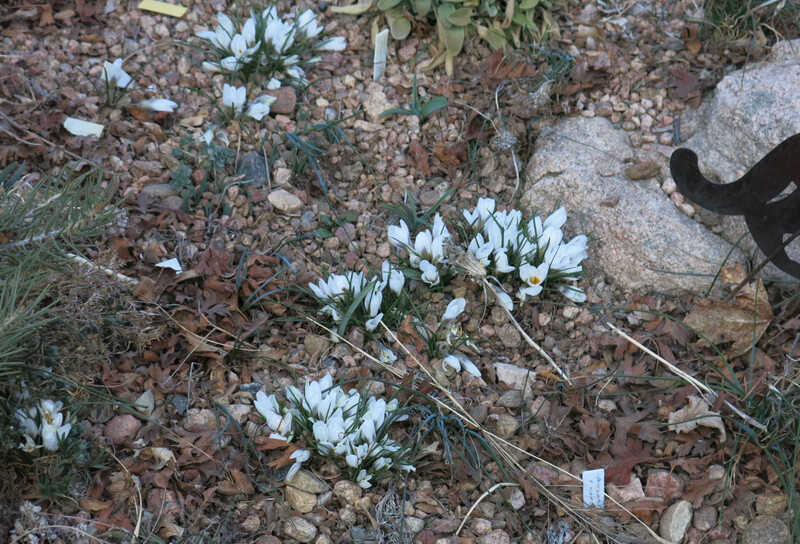 Mani – TGYLW has been showing a picture of some crocus of Facebook. He doesn’t know for sure what they are because you helped him tidy the garden when you were younger by removing all the labels to tidy things up. Do you still do that? No; I haven’t stolen any labels since my first summer here. It was a lot of fun, though. Sounds like you’ll be very busy checking/guarding the bulbs that are emerging now. I’m sure the French cats will help out but they can’t bark or run after garden intruders. Your job is important! Good work, Mani! Bulbs are fun surprises that bring us hope that the garden and they will thrive. It’s so exciting when they show up in new places either because they self seeded or we forgot where we planted them. Bulbs are wonderful small gifts that return every year if we protect and cherish them. Thanks; I’m pretty good at guarding stuff. 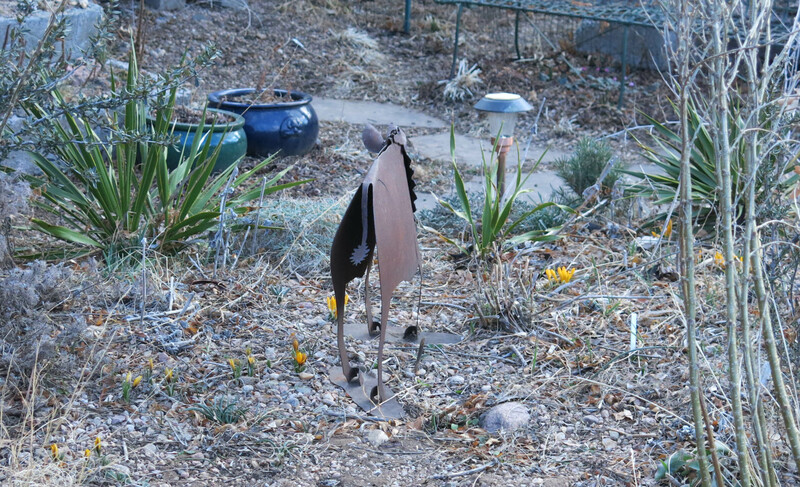 Though I guess I didn’t do much when the guy I live with went to the store; when he came back we saw that a bunny had tried to ig a burrow in the rock garden and wiped up some corydalis. The guy I live with was totally steamed. I’m supposed to say not just any corydalis, either. Corydalis schanginii subsp. ainae. And now that fewer places over seas are shipping to this country, things’ll be even hard to get. 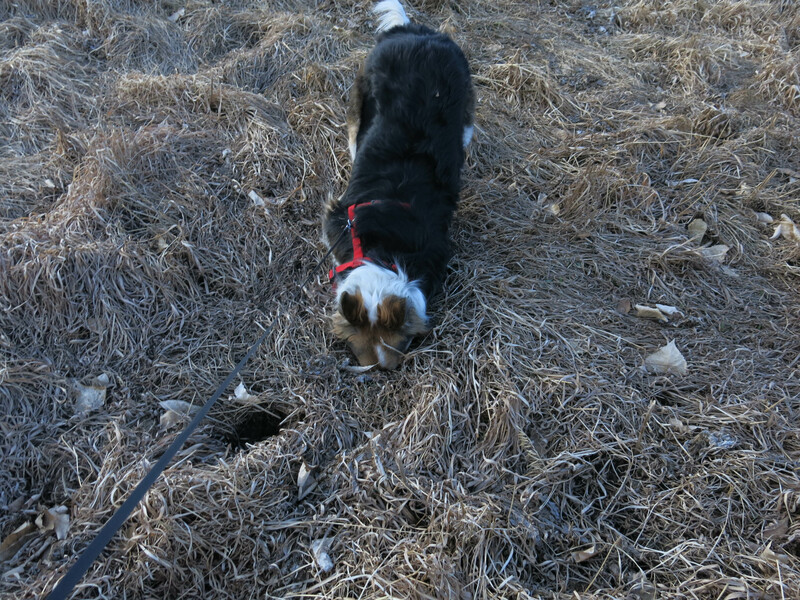 The bunny burrow…hmmmm…it’s always something as Gilda Radner once said! It is always something. The guy I live with lets bunnies make their cozy homes in the front yard. Just today there was a bunny collecting dead grass to line a burrow. 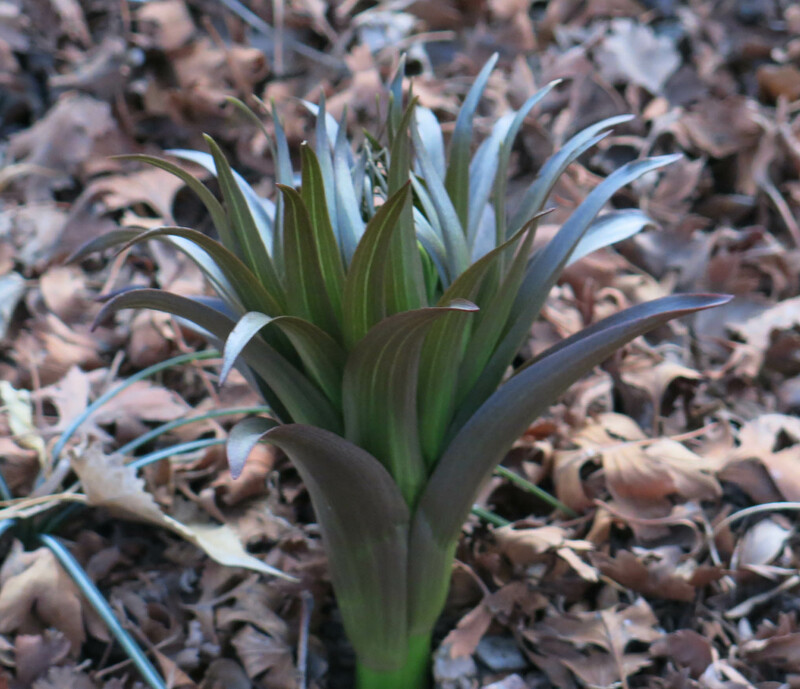 That is a robust example of Fritillaria raddeana. Looking forward to seeing it in flower. I would be very happy with a carpet of crocus and snowdrops. I might even be a bit self-satisfied. Is it possible the guy you live with is too hospitable to bunnies? Also, inform him there must be *something* rustling under the grass to attract your avid attention. You have given me a reason to journey to Denver in addition to the super-excellent botanical garden (which I also understand features a patch of heritage roses.) I will come to drink the water. The guy I live with says be sure to have the tap water, in Denver. Otherwise you’ll have to say you came for the waters and were misinformed….. The frits can freeze. Happened some years ago, and the next year they had no flowers. We thought the back yard was completely de-bunnified and bunny-proof, but I guess not. They are allowed in the front yard, and can dig burrows, because their lives can be rough, and they are very cute. It’s really too early for snakes though I found one in the garden just the other day. It was cold and sluggish. Like someone else I know. The botanic gardens are really excellent, I hear. 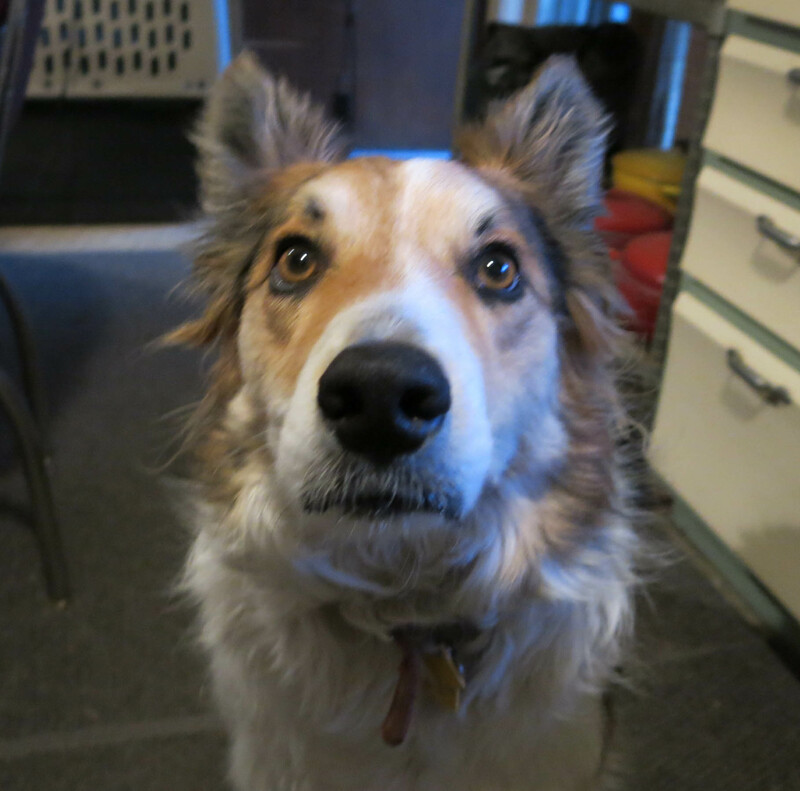 They had a no-dog policy which even extends to purebred border collies, believe it or not. 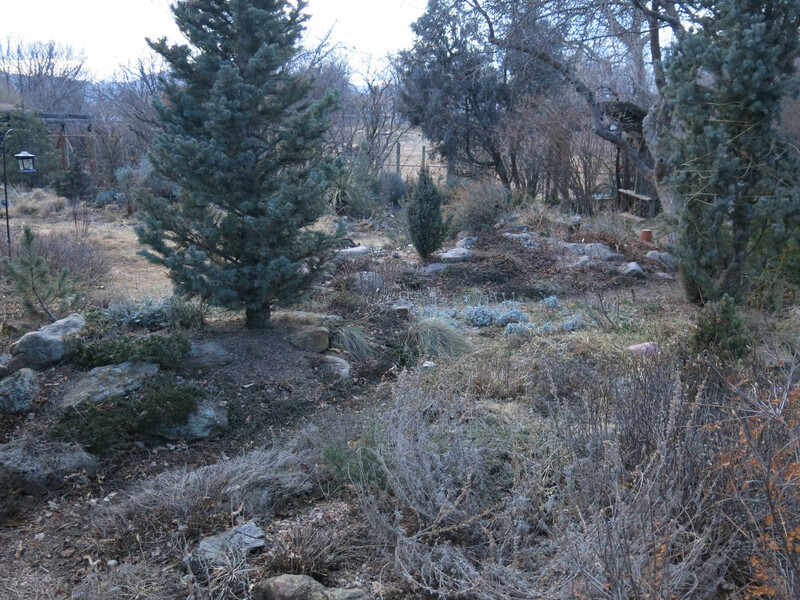 Besides the main garden in Denver, there’s the arboretum at Chatfield (with goats and miniature horses and stuff), and the alpine garden on Mount Goliath. I might get to go there some time. PS: Since you write and report so well, no surprise you’re such a *vocal* sort. You should hear me sing to my dinner. Maybe one day that’ll be captured on film. I vote YES to that! It can only happen if a certain party has the camera ready and I feel like singing. Naturally. Ya know that moss that you be showing, Mani? Wire netting around the Frenchie chats, moss applied, then *”voila**! Yes? a nouveau look.Think about it. Perhaps something to do when kept indoors by – you know it’s coming – snow. Snow might not be coming. The guy I live with said he is controlling the weather with his mind. That’s the sort of thing I have to put up with here. Of course that’s a very unpopular position to take around here, where everyone seems to think that huge piles of snow which don’t melt until July would be just the ticket. The guy I live with says that the rational person would like the huge piles of snow in the mountains, so that we have water later this year.